San Juan P02 3 1, Madrid, Spain. We happily announce to you the draw (#1002) of the MICRO-SOFT SUPER SORTEO on-line Sweepstakes program held on 4th January, 2008. 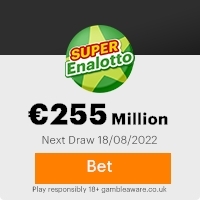 Your e-mail address attached to ticket number: 56475600545 188 with Serial number 5368/02 drew the lucky numbers: 03-09-13-35-43-45(bonus no.08), which subsequently won the lottery in the 2Nd category. You have therefore been approved to claim a total sum of 450,000.00 euro(Four hundred and fifty thousand euro) credited to file KTU/9023118308/07. This is from a total cash prize of 2,700,000.00 Euros shared amongst the (6) lucky winners in this category. All participants for the on line version were selected randomly from World Wide Web sites through computer draw system and extracted from over 100,000 unions, associations, and corporate bodies that are listed on-line. This promotion takes place once in two years. Please note that your lucky winning number falls within our European booklet representative office in Europe as indicated in your play coupon. In view of this, your 450,000.00 euro(Four hundred and fifty thousand euro) will be released to you by any of our payment offices in Europe. Our European agent will immediately commence the process to facilitate the release of your funds as soon as you contact the Agency. For the processing and remittance of your cash to your designated Bank Account. Remember, all winnings must be claimed not later than JANUARY 28Th 2008, after this date, all unclaimed funds will be returned to the promotion company. Be further advised to maintain the strictest level of confidentiality until the end of the proceedings in order to circumvent problems associated with fraudulent claims. This is part of our precautionary measure to avoid double claiming and unwarranted abuse of this program. You are to provide the following informations below to your fiduciary agent so as to enable the speedy evaluation and processing of your winning. Previous: CALL FOR CONFIRMATION...Fresh ScamsNext: RESPOND WITH YOUR CONF ... !!!!! This Email with the Subject "YOUR EMAIL HAS BEEN SELECTED!!!" was received in one of Scamdex's honeypot email accounts on Fri, 11 Jan 2008 09:21:58 -0800 and has been classified as a Generic Scam Email. The sender shows as super@ssorteo5.orangehome.co.uk, although that address was probably spoofed. We recommend that you do not attempt to contact any persons or organizations referenced in this email, as you may expose yourself to scammers and, at the very least, you will be added to their email address lists for spam purposes.